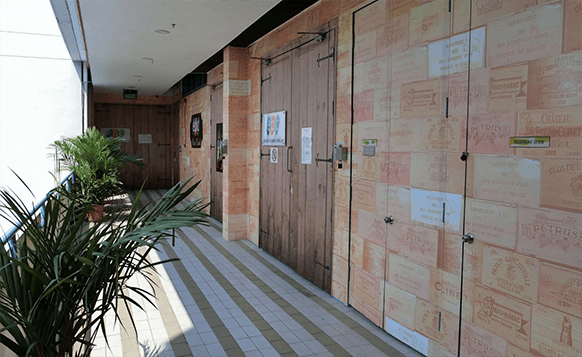 Steel Storage were engaged to design and fit out this facility having successfully completed several phases previously to include fine wine storage. This five level facility features four levels of wine/self storage and one level of serviced offices, to complement this there is also a loading bay, hydraulic platform & ramp with easy access points to all floors is via two passenger, one service and two cargo lifts. The building also has a modern office and display area where customers can make enquiries, open an account and/or purchase boxes and packaging accessories. EBC offers more than self storage, it is a lifestyle hub which encompasses facilities such as a Clubhouse, Meeting Rooms, Skygarden, Childcare Center , Restaurant and much more! 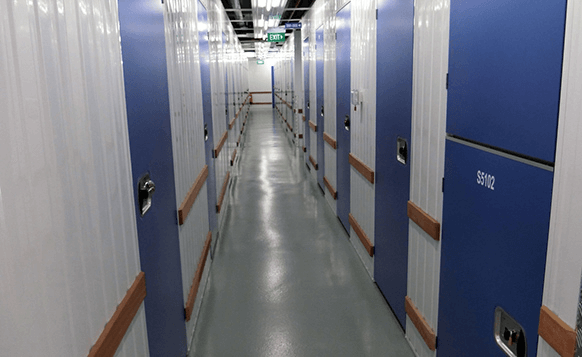 This facility offers 24/7 clean, easily accessible self-storage fully secured with PTI pin/card operated access control system and all individual units are alarmed. To accompany this the facility has full CCTV and Security Guard patrol surveillance.